But, innovation! Thermonuclear war! 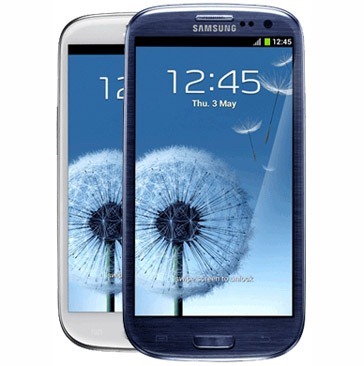 The Galaxy S III was designed around avoiding Apple patents, right? Maybe its design patents, but that's not what is at issue here. It's rather easy to get confused when Apple has two lawsuits going on in California against Samsung for patent infringement. The first one has reached a verdict, and is now headed to appeals-land for the next year or so. The second one, which is the one we're talking about here, hasn't even really started. It's extra-confusing because the same judge, Lucy Koh, is presiding. The biggest news to come out of this second lawsuit was the preliminary injunction granted against the Galaxy Nexus. That ban was later stayed by an appellate court, and has remained unenforced since (it is still "under review"). But Google says Jelly Bean should solve "outstanding patent issues," right? Well, not really. As far as we're aware, the only "issues" Jelly Bean resolves are related to Apple's gesture-based tap-to-zoom patent. This would allow Samsung to avoid injunctions based on infringement of that patent (from the first lawsuit), but we've not heard about any of the others at play. Infringement of those will likely have to be resolved through OTA updates to Samsung's own software, not the core Android OS. The second lawsuit, by comparison, has eight software patents at issue. Four of them are accused to be infringed by the Galaxy Nexus, meaning, you guessed it, Apple is going after the core Android operating system. The patents in play include old favorites, like the "data tapping" patent that saw HTC's launch plans for the One X and EVO 4G LTE in the US scuttled by an ITC injunction, resulting in significant release delays for both devices. Another is the dreaded "unified search" patent (there are two of these - one for Siri and one that applies more generally), which has already resulted in Samsung removing the universal search functionality from all of its Galaxy S III devices in the US as a preemptive defense measure. Also at issue are things like slide-to-unlock (yes, circular unlock is accused of infringing this), software keyboard word auto-completion, and a missed call management interface. None of the patents at issue relate to design. The devices added to Apple's list of accused infringers today, though, are on top of 17 already listed. Why add them now? Because at the time Apple filed the lawsuit, none of these devices were available in the United States. The only real conclusion worth drawing here is that Samsung didn't avoid all of Apple's software patents in its latest iteration of TouchWiz. As Florien Mueller at FOSS Patents correctly points out, the addition of these device is little more than a formality. Apple already attempted to accuse the Galaxy S III of infringing as part of the Galaxy Nexus injunction (though it rescinded this plea to speed up the injunction against the Nexus instead), and the Note and Note 10.1 both run substantially similar software to the GS3. There was no reason to think Apple wouldn't accuse these devices, and we already had evidence that strongly suggested (if not outright said) they would. This doesn't change the issues in the case. It doesn't change the fact that, even without directly accusing the Galaxy S III of infringement, Apple could still have its importation banned as a product only "colorably different" from the named products in its preliminary injunction. That's why Samsung removed the unified search feature from the Galaxy S III - because the preliminary injunction against the Galaxy Nexus could have later been applied to the GS3 through a motion to the court, regardless of whether or not it was specifically named in the case. The net result of this news? Nothing, really. Apple is still suing the pants off Samsung in this case for the same reasons it was last week, and the week before that, and the month before that. The action isn't even scheduled for trial until March 2014. You can pretty safely assume that, by then, most (if not all) of the issues we're talking about here will have already been resolved through tweaks, settlements, or the natural process of software obsolescence. So, do yourself a favor, and remember that you're not the one getting sued here. Apple, Samsung, and Google clearly have some issues to work out, and they've got plenty of time to do it. After weeks of Samsung v. Apple: Round 1 up-to-the-minute coverage, I think we all need to take a step back and avoid turning an amended plea filing into an assault on our personal dignity.